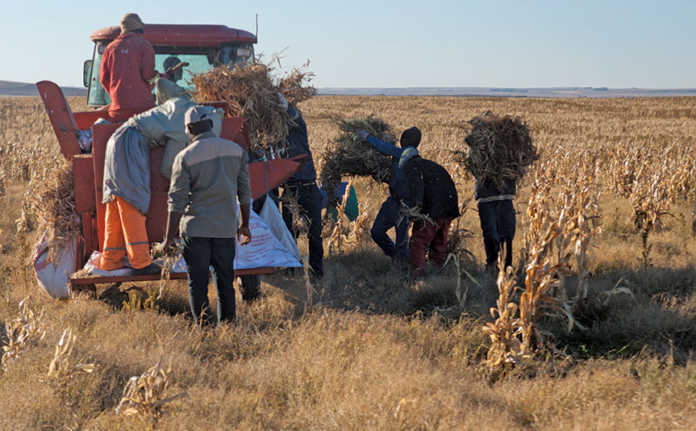 According to the latest Stats SA labour force survey, agriculture jobs declined slightly from the second to the third quarter of this year but showed a 3,9% increase on the number of jobs recorded in the sector at the same time last year. According to Jahni de Villiers, head of Labour and Development at Agri SA, average unemployment in South Africa’s rural areas currently stands at 41%, and job creation here has to be prioritised. Agri SA believed that the sector could still provide solutions for rural job creation, but certainty and support were needed, she said. “If we don’t have policy certainty and consistent support from government, we won’t be in a position to do what’s needed in the rural areas,” she said. According to Stats SA’s third-quarter (Q3) labour force survey on October 30, unemployment in South Africa was at 27,5%, up 0,3 of a percentage point from Q2. Quarter-on-quarter (q/q) employment declines were recorded in the formal sector, private households and agriculture, while the informal sector recorded gains. The report revealed that about 1 000 agriculture jobs had been lost q/q, a decline of 0,2%. However, there had been a 3,9% increase in agriculture jobs y/y, up from 810 000 jobs in the July to September period last year to about 842 000 jobs this year. According to a statement by Agbiz, the y/y sectoral gains were evidence of the improvement of weather conditions in the Western Cape, which had the benefit of “boosting the overall sector employment”. Activity in Northern Cape and Limpopo had added to this. However, the Agricultural Business Chamber said the picture was not so rosy in other provinces. It said that agricultural jobs in Free State and KwaZulu-Natal had declined by 1% y/y, Mpumalanga had recorded an 8% decline, and agriculture jobs in Gauteng were down 22%. Commenting on the outlook, De Villiers said she anticipated a downward employment trend in agriculture in the next two quarters but this was to be expected due to changes in harvest activity and seasonal employment. “We don’t at this stage see any hotspots in the country where a lot of people would be at risk of losing their jobs,” she said. A major concern, however, was the potential for heavy job losses if the national minimum wage (NMW) suddenly came into effect. She said that many employers in the sector were at their financial limit and that if the NMW were imposed before 1 March (when sectoral determination increases are budgeted for), those on the margin would be unable to absorb the increase and this would result in job losses.